You’re browsing a bunch of websites on your Android device. After a while, you stumble across an article you really like and you want to show it to your best friend in a nice printed form. But alas! You aren't connected to your printer! Well, that’s a bummer isn't it? Now you’ll have to send that article to your computer, then send it for printing - such a tedious task? Well, not anymore. In this article we will be explaining to you how you can print any article or document on your Android device wirelessly. All you need to have is an Android device and a printer, and yeah, both should be connected to a Wi-Fi network. Once that is done and little nudges here and there, you’ll be printing everything from your phone wirelessly using your printer. Another great thing about printing wirelessly is that it will even allow you to print photos you snap on your Android smartphone without any hassle. Furthermore, you can also set your printer up so that you can print your documents even while you aren't at home. So, imagine you’re on holiday, you snap a bunch of pictures and you want them ready by the time you get home. No problem! Just send them to the cloud and they will automatically get printed by the time you reach home. Set up Google Cloud Print: Google cloud print lets you connect your printer to the cloud thereby allowing you to print your documents from any corner of the earth. 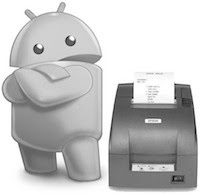 Simply register your printer with your Google account and you’re done. Head over to their website to get started. Once you are there, simply click on the ‘Try Now’ button and it will start detecting printers automatically. You can then register that device with Google Cloud Print and start printing instantly. Also, it is a good idea to check if your printer is cloud print ready using this list. Install the Cloud Print app on your Android device: This app, once installed, will let you print all types of files from your smartphone or tablet. Cloud Print supports all the popular file types including pdf, jpg, jpeg, docx, ods, xls, xlsx, ppt, odp, txt, doc, and xps. What’s more, the free app also allows you to share your printer with friends. The app tightly integrates with the aforementioned Google Cloud Print service, thereby allowing you to print all your documents wirelessly. Test your new service by printing a test page wirelessly. If you’re using an HP printer, HP has their own cloud printing service called HP ePrint. You can use that one too; however, it’s much better to stick with Google Cloud Print as it integrates really well with other Google services. To start using HP ePrint, simply install their Android app and register your printer for their service.